In August of 2011, I found myself on the banks of the Ohio River as the sun began its ascent. As a young boy, I watched in amazement as Ironman athletes competed in Kona. Before this dream came to fruition, my life had already been frenetic with four children and a busy practice. By the time it was over, though, I came to understand why I had little choice but to accept its calling. In multiple instances, I would come face-to-face with death in unlikely ways. I would find myself questioning the sanity of my decision. I would learn to find joy in strange places, in the briefest times. I would learn to embrace suffering and befriend those I never met. 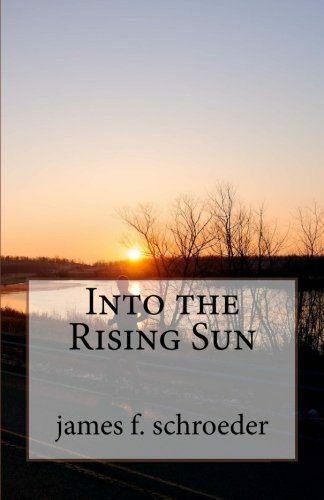 Into the Rising Sun is a chronicle of this journey, both as one individual in pursuit of a calling and one family in search of the truth. It became our story of faith, in each other and in realities difficult to comprehend. It is an intimate look at a young family shrouded in love midst the challenges of an ever-changing landscape and the travails that new life brings. In many ways, it is a saga of millions left untold all searching for clarity. Couched in this story are other related tales. These are the accounts of Ironmen past and present, both known personally and through popular media. These are stories that have inspired millions. They are the ones who inspire us to carry on when the toil seems just too hard. Into the Rising Sun seeks to understand the drive that exists in all of us to transcend barriers that seem insurmountable. It goes in search of a greater purpose that underlies it all.